When designing a home in the Caribbean the views are always taken into consideration, determining the position of several rooms and the arangement of spaces. But overlooking Jamaica's capital, Kingston, who would think that with a two-storeyed building you'd need a ziggurat formed structure to capitalise on the views? 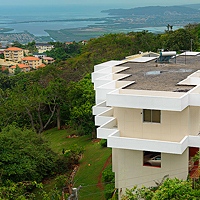 "Designed by architect Errol Alberga to capture the panoramic view of Kingston, Jamaica and its harbor beyond. The main design feature of the house is the large cantilevered sunscreens that follow the exterior glass openings and the ziggurat plan form". Thanks to Brian Lewis, designs pushing the edge of contemporary Caribbean Architecture are captured! Unsightly cracks in the wood of a brand new deck can make it appear a lot older and worn than it really is. 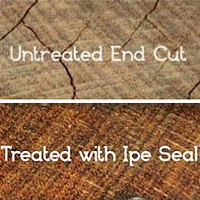 Premium Brazilian Decking has the solution to that problem - Ipe Seal! 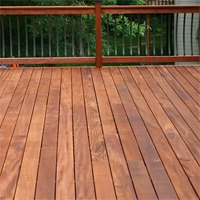 Ipe Seal is a wax emulsion sealer proven to increase the structural integrity of hardwood decking. Once applied to freshly cut, exposed wood end grain, Ipe Seal creates a bond that extends the life of each deck board while also preventing end-checking (splitting) and unsightly cracks. One quart of end sealer covers approximately 500 square feet of decking. The end seal is a dual protection product, it stops excess moisture from getting into your boards while at the same time helps prevent your wood from drying out and cracking! Using glass to set a romantic, light or fiery ambiance! In the Caribbean, bottles are everywhere! Green Bottles, red bottles, beer bottles, wine bottles and more bottles! 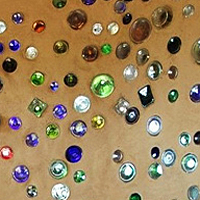 Because little emphasis is placed on the recycling of glass bottles and even fewer opportunities are available - its something we can get our hands on easily. Well, after the construction crew has left (on the Friday, you threw the 'I appreciate your hard work party') collect the bottles and add further creativity to your workmen's handy job! Glass can make for very romantic, light or fiery ambiance.. just see this. 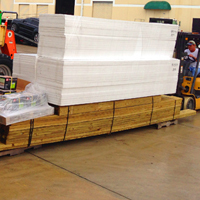 Premium Brazilian Decking has in stock a limited amount of Tigerwood (2X4 and 2X6). Tigerwood is a beautiful reddish brown color, with prominent darker stripes running through some of the boards. It is kiln dried and is approximately 2 ½ times harder than Oak with an approximate 40 year life span, making it an extremely durable wood which is resistant to mold, mildew and insects. After installing Tigerwood decking, it might be a pale shade but if you want a darker color - do not put a finisher on, allow the sun to bring out the color in the deck. Place your orders today, remember stock is limited! 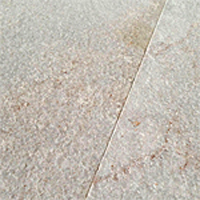 Quartzite is a great alternative to mass produced ceramics and other common flooring options where durability and natural beauty are required. Finishing touches to the floors of Caribbean properties can be a hectic phase for homeowners. The choice of flooring material is always dependent, firstly, on whether it is an indoor space (kitchen) or an outdoor space (garden paths or pools) and secondly the type of material that will give the best finish. By choosing quartzite, you have a solution that gives both a first class finish and that is durable both indoors and outdoors. Continue reading here. A common question and source of worry when moving to the caribbean is, "How am I going to get my materials and furniture to the Island?". Hassell Free Export provide commercial and individual customers with quality procurement, storage and shipping services for construction materials. With over 10 years of experience, Hassell free shipping is capable of handling this phase of moving to the Caribbean. Whether you want one package or an entire container, the same exemplary service will be provided. Let their experience work for you. Leave the hassle up to Hassell Free Shipping!